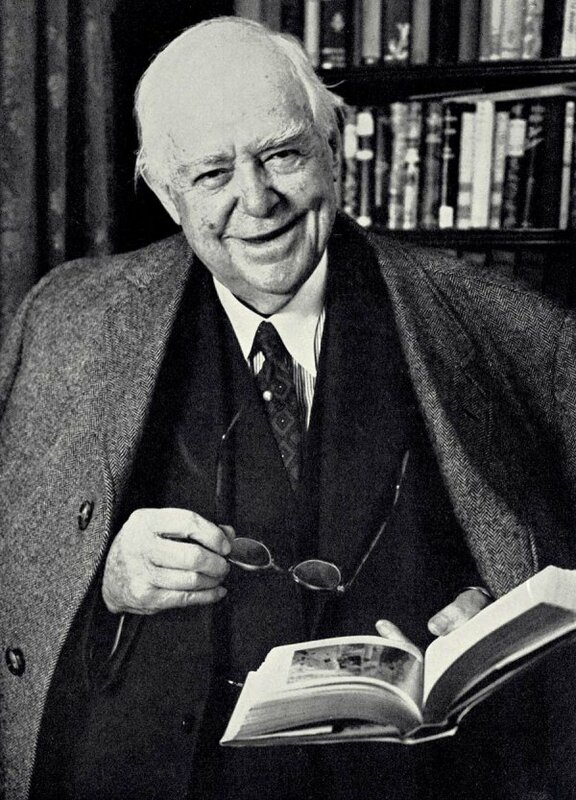 Bhí Sir Alfred Chester Beatty (1875-1968) ar na fir bailiúcháin ba mhó le rá san fhichiú haois, agus ba chara urghnách é d’Éirinn. B’innealtóir mianadóireachta in aois a óige é agus fiú ag an tráth sin ba bhailitheoir grinnchúiseach é de de lámhscríbhinní Eorpacha agus Peirsearcha agus de bhuidéil snaoise Shíneacha is de netsuke na Seapáine chomh maith. Ba sna blianta tar éis a athlonnaithe go Londain in 1913, áfach, go ndearna sé an chuid is mó dá obair bhailiúcháin. Is le linn dó turas a dhéanamh go dtí an Éigipt i 1914 in éindí lena theaghlach a thosaigh sé iontas a chur i lámhscríbhinní Ioslamacha, agus ar thuras dó chuig an Áise i 1917 chuir sé suim freisin i bpéintéireacht na Seapáine agus na Síne. Mheall leabhair uathúla, ábhar trom-mhaisithe, ceangail leabhair bhreátha agus callagrafaíocht é ach ag an am céanna ba láidir an tiomantas ann téacsanna a chaomhnú as ucht a luach stairiúil. D’fhill Chester Beatty ar ais ar an Éigipt arís agus arís eile agus ba inti a fuair sé seilbh ar pháipir bhíobla den chad scoth sna 1920idí. D’fhás bailiúchán Beatty ar feadh a shaoil agus mar sin, tráth a bháis, bhí bailithe le chéile aige ní hamháin lámhscríbhinní iontacha Ioslamacha, ceanna ó Oirthear na hÁise agus ón mBíobla, ach ina theannta sin éadálacha tábhachtacha Peirseacha, Turcacha, Airméanacha agus ó Iarthar na hEorpa chomh maith le lámhscríbhinní Burmacha, Téalannacha agus Neipealacha. In ainneoin a éagsúla le chéile a bhí an t-ábhar a fuair sé ina sheilbh, ba í an tréith é a d’aontaigh an bailiúchán ina iomlán an dúil a bhí ag Beatty earraí a bhí fíor-annamh agus ar an gcaighdeán ab airde a lorg. Fágadh an bailiúchán le huacht ag náisiún na hÉireann, agus tá sé lonnaithe inniu i Leabharlann Chester Beatty i bhfearann Chaisleán Bhaile Átha Cliath – is acmhainn do scoláirí é agus le cois sin is ionad cultúrtha mórshuntais é, a mbaineann cuairteoirí ó Éirinn agus ó gach cearn den domhan taitneamh as. Chester Beatty was born in New York into a middle-class family, the youngest of three sons. His father’s parents were Irish, while his mother was from a long line of colourful pioneers the earliest of whom had arrived in America in 1650. 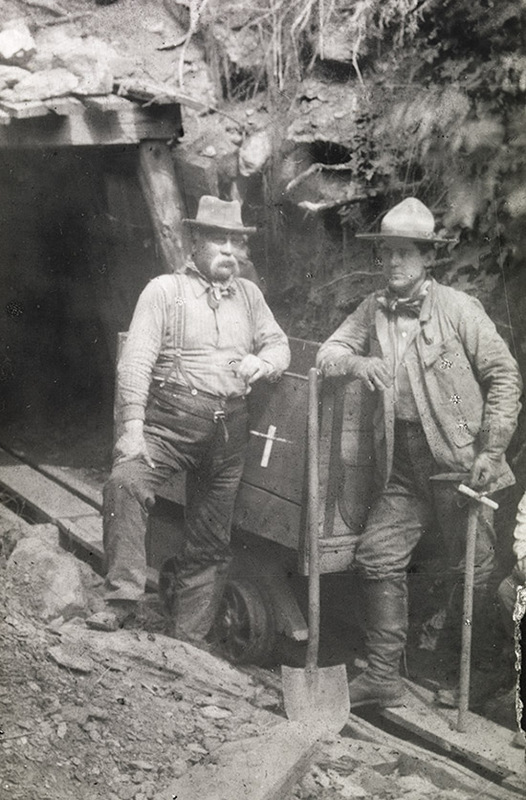 Beatty (on the right) graduated from the Columbia School of Mines and in June that year he arrived in Denver, Colorado. he started out as a labourer, a ‘mucker’, shovelling rock at a tiny gold mine called the Kekionga in the Rocky Mountains earning 25 cents a day. Bright and ambitious, he was quickly promoted to mine superintendent. He turned it into a profitable operation and was offered a job as a consultant on a nearby mine where he struck ore and soon had more work than he could handle. Beatty joined the management team at the Guggenheim Exploration Company (Guggenex). A clause in his contract allowed him to participate financially in any mines assessed for the possibility of purchase. Through these dealings he was a millionaire by the age of 32. 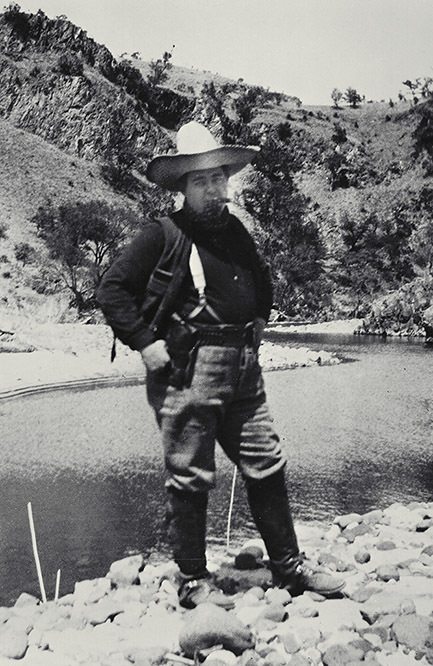 Chester Beatty left the Guggenheims and set up an office in New York City as an independent mining consultant. He set up home with his wife, Ninette, daughter and new-born son in a house on the fashionable East Side of New York. They had a very comfortable life with a staff of servants, two motor cars, and a chauffeur on call, although Beatty travelled extensively for his work. 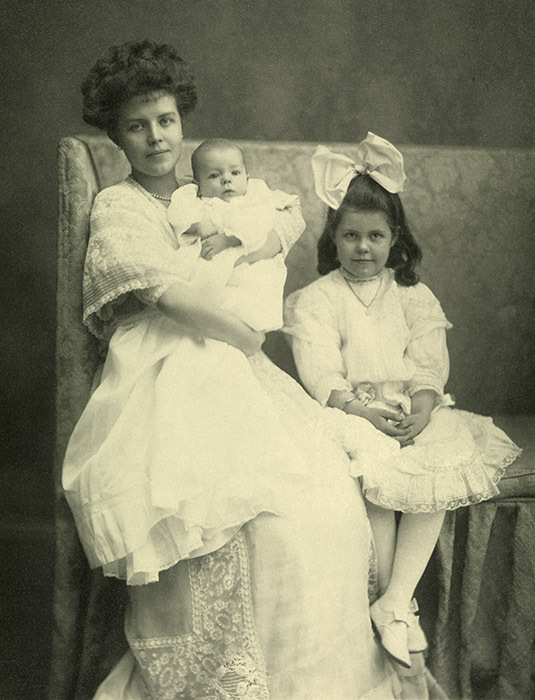 Beatty’s life took a dramatic turn when his wife Ninette died of typhoid fever in March 1911. At this time too he discovered he had silicosis of the lungs, the result of a decade scrambling underground. In summer 1913 Beatty arrived in London with his children (little Ninette, then aged twelve, and Chester junior, aged six). Keen to search out mining prospects globally, it was perhaps inevitable that he would leave New York but the loss of his wife undoubtedly hastened his plans. On 21 June 1913 he re-married, to Edith Dunn a divorcée from New York, in a quiet private ceremony and the family moved into Baroda House, 24 Kensington Palace Gardens. In the years that followed the Beattys travelled extensively, frequently returning to the US for social and business reasons. 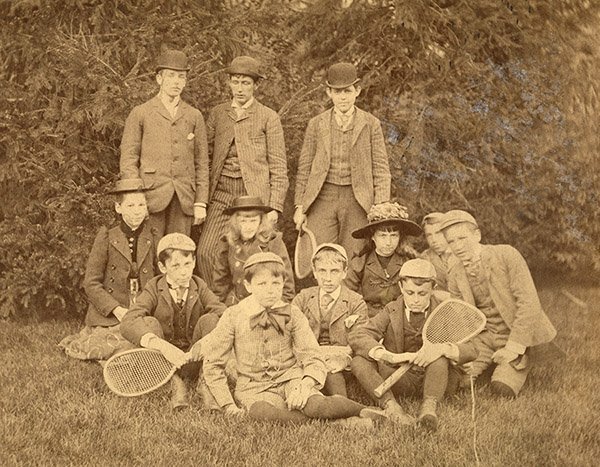 They were also prominent members of London society. Beatty founded his own mining company in London, Selection Trust. It became an enormously successful group of companies with interests in many countries including Russia, the Gold Coast (Ghana), Sierra Leone, Northern Rhodesia (Zambia) and the Belgian Congo (DRCongo). It was during this prosperous period that he built the greater part of his collection. 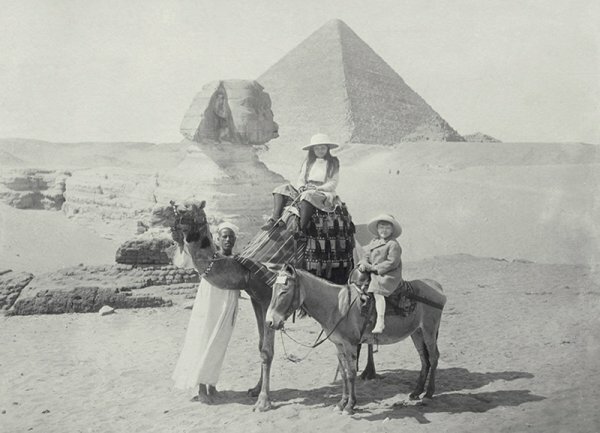 A family trip to Egypt early in 1914 stimulated his appetite for Islamic manuscripts. The dry climate suited Beatty’s lung condition, and he and Edith continued to spend winters there until the outbreak of the Second World War. 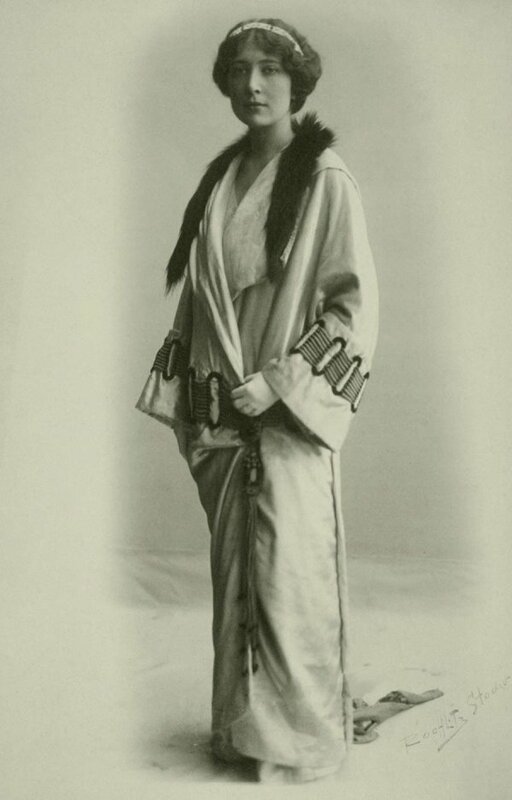 Recovering from a severe bout of pneumonia and Spanish ‘flu, Beatty visited Asia and this trip deepened his interest in Chinese and Japanese art. 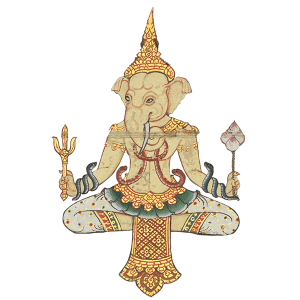 While there he bought numerous painted albums and scrolls and in the following years he continued to acquire Chinese and Japanese paintings, snuff bottles and Buddhist scrolls. 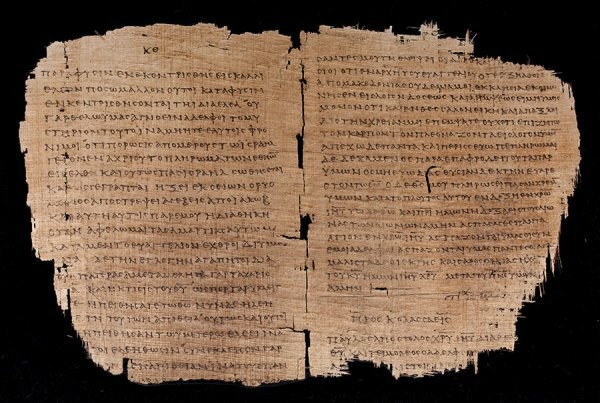 The London Times announced Chester Beatty’s sensational acquisition of Greek Biblical papyri said to have been found on the banks of the Nile, and the story was syndicated all over the world. In 1934 Beatty converted the stables and mews buildings of Baroda House into a library. 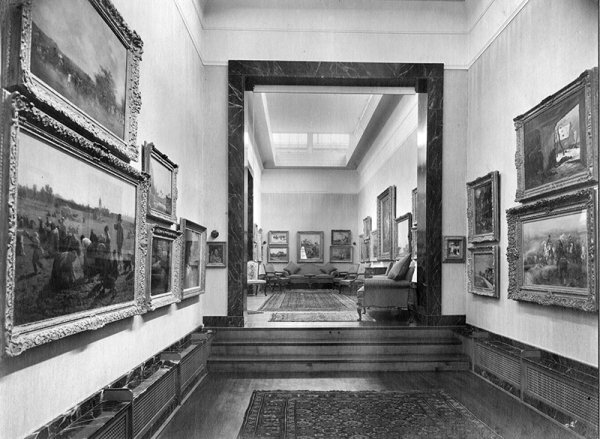 A year later, he built a picture gallery to house his collection of paintings and link the main house to the new garden library. By this time his wife Edith was buying Impressionist and Post-Impressionist paintings as well as French furniture, sculpture and other artworks. 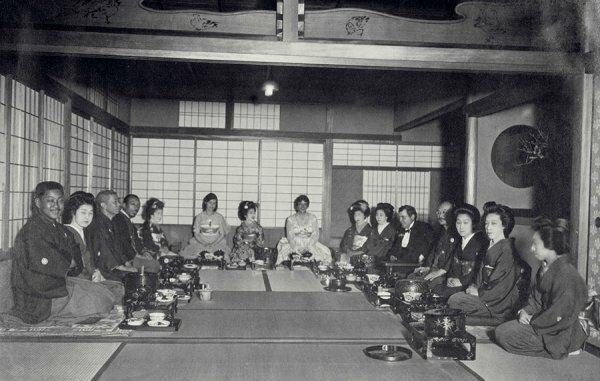 In 1950, Chester Beatty relocated to Dublin, bringing his collection with him. It was a major decision on his part, and the reasons usually cited are his frustration with post-war Britain, with its heavy taxation and foreign currency restrictions. There were other, personal, considerations: he was of Irish heritage on his father’s side and his son had bought a house in Co. Kildare. Moreover, at 75 years of age, Beatty was also seriously considering long-term plans for his collection and how he might develop what had thus far been a private passion into an enduring legacy. From the moment he arrived in Dublin, Chester Beatty was planning the construction of his new library and gallery to house and display his collections. 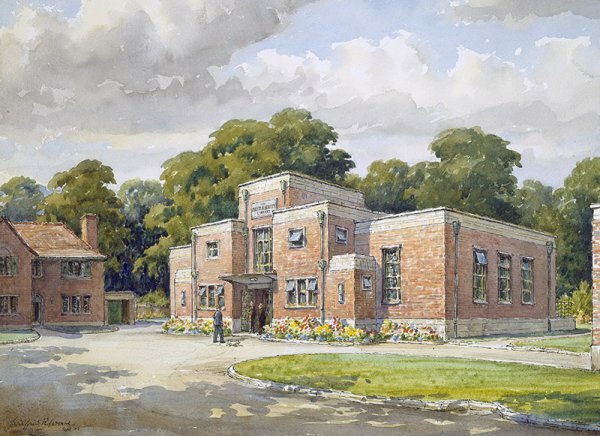 His purpose-built library in Shrewsbury Road opened in 1953, first for researchers and later to the public. In his speech at the opening, the Taoiseach (Eamon de Valera) said: ‘thanks to Mr Beatty, this library will be a mecca for scholars for generations to come’. In 1954, he received a belated knighthood for his wartime services to Britain. He became the first honorary citizen of Ireland. 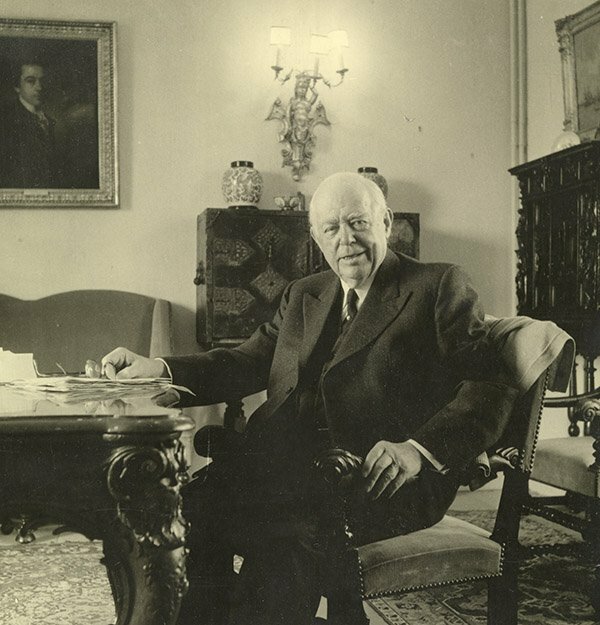 He continued to acquire throughout the 1950s and well in the 1960s, adding important Ethiopian manuscripts and Japanese printed material to the collection. 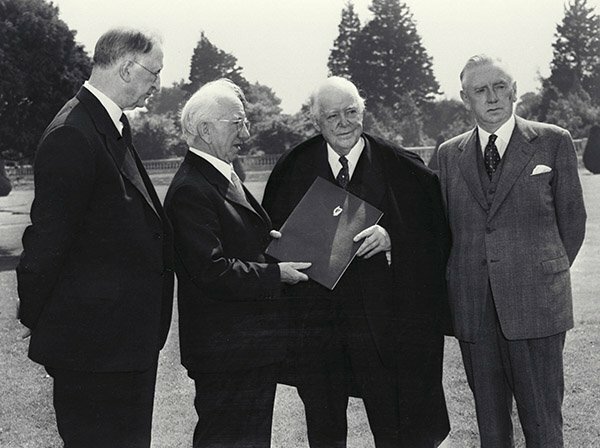 Chester Beatty died and was the first Irish citizen to be awarded a state funeral in Ireland. At his funeral service in St Patrick’s Cathedral, Dr George Otto Simms (Church of Ireland Archbishop) described him as a ‘Prince among benefactors, a philanthropist, patron of the arts, and industrialist who became a world figure, and a lover of Ireland’.